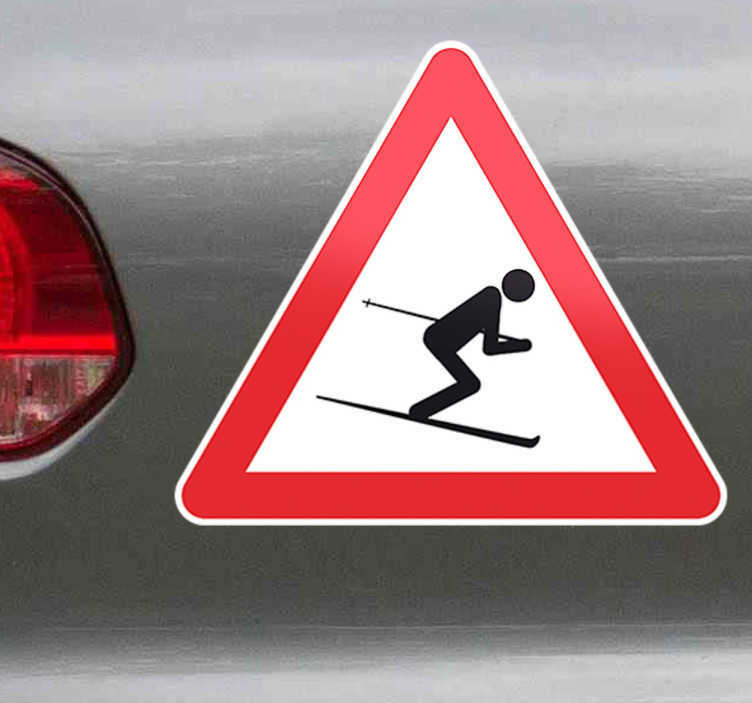 If you want the world to know all about your passion for the slopes, this simple yet iconic take on the classic hazard sign is perfect for you! Not only is this decorative sticker applicable to cars, but any hard surface indoor or outdoor including glass, also available in a variety of different sizes. Ideal as a gift for all your skier friends, this vinyl consists of a black and white stick man design surrounded by a red border.